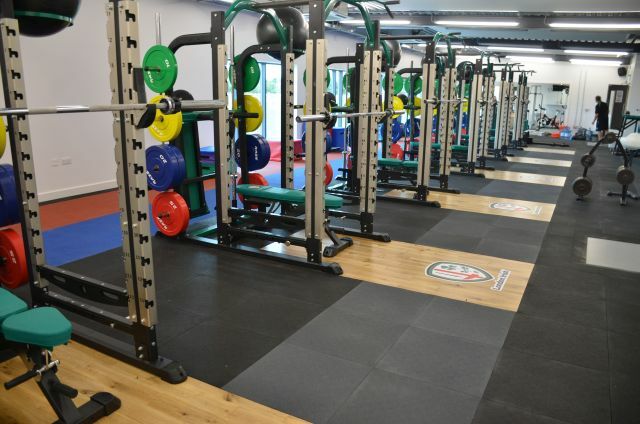 At 32 mm thick, they provide superior sound insulation and shock absorption making them an ideal solution for those areas where sound reduction and floor protection is required, especially gym areas higher than the ground floor. The tiles also offer exceptional resilience in helping to prevent muscle and joint injuries. Superior sound and shock absorption. Excellent resilience to prevent injuries. Hides all cables from gym machines. Manufactured with 100% recycled rubber. Can be quickly and firmly installed. Overall size: 610 x 610 mm. Installed wherever the adjacent floor is lower than the mats.